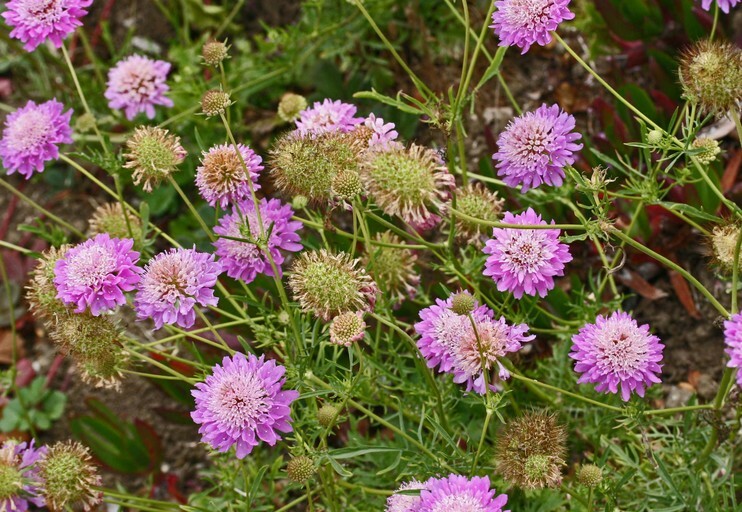 Scabiosa atropurpurea (pincushion flower) is a herb/ (family Dipsacaceae) with red to purple flowers and narrow leaves found in the Central Valley and central and south coast ranges of California. It is native to southern Europe. It favors grasslands. It propagates by seeds which are dispersed by animals.